What’s on my phone’s home screen? 2017 is almost over, so I wanted talk about the apps that have taken the most important space on my phone during this year, and whether or not I think they’ll still be there next year. I place apps in my home screen based on the frequency in which I use them. I try to minimize the amount of times I have to go to other pages of the home screen, so these are truly the apps that keep me going. But are all of these apps equally important for my daily tech routine? Will they stay in such a prominent position next year? Let’s break them into categories. Messages, WhatsApp, Facebook Messenger and Mail are absolutely critical to stay connected with family and friends, especially those in other countries. I’m convinced that I’ll keep these around since they are literally the first thing I check every morning. Facebook, Instagram and Snapchat have been part of an interesting migration during 2017: most of my friends stopped posting on Facebook and became more active on apps where their posts have a 24 hour expiration date. 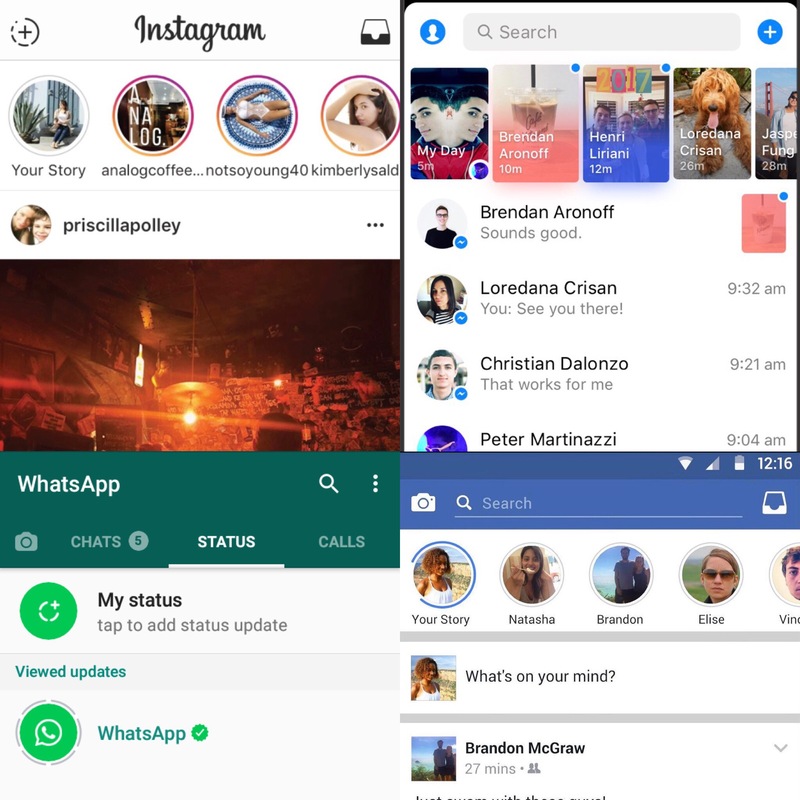 So far, most of my friends are choosing Instagram, probably due to the fact that it has a classic profile of everlasting posts; Snapchat will have a hard time recovering after the aggressive takeover from Instagram, so I would not be surprised if Snapchat didn’t make it on my phone through the next year. I don’t see Twitter or YouTube as simple social networks anymore; I use these apps to consume news and media content. I can see what’s trending in the world or I can follow the creators that I want, and get content directly matching my interests. Twitter is not dead (even if you don’t use it to connect with friends) and YouTube is not getting substituted by Snapchat (not in the next year at least) as my main video provider. Feedly, LinkedIn and MSN News (which I use to read many Spanish newspapers in one single place) also keep me informed, but they are usually secondary sources in my daily routine. Feedly is there because it’s where I keep my old RSS collection (rest in peace, Google Reader), and it’s the app with the highest probabilities of not making it one more year. Now, about the Podcasts app: I acknowledge this might sound weird, but the first time I ever listened to a podcast was just a few months ago. Considering that podcasts are a relatively old form of audio broadcasting, this may be surprising, but I had not found a compelling reason to try it until I found this amazing podcast. I then turned to Facebook asking for podcasts recommendations and my friends gave me enough titles for the rest of my life. This app is a keeper. This category is also critical, but individual apps can easily be substituted if a better alternative appeared in the market. I use many Apple stock apps due to their integration within iOS, but I’m not too attached to them. In fact, I have already substituted some 1st party apps: Notes with OneNote, Calendar with Google Calendar or Music with Spotify. I have a love-hate relationship with Apple Maps: Google Maps has better content, but I like Apple’s design and it usually finds what I’m looking for. I have switched back and forth between Google Maps and Apple Maps at least twice during 2017, so we can officially call this an unresolved situation. WordPress and Medium are my basic blogger tools: even though geekonrecord.com is hosted in WordPress.com, I also publish in Medium on my own account and on Medium publications like Hacker Noon. It’s safe to say that these apps will remain in my home screen as long as I keep writing. This might sound like the most boring part of my home screen, but as a Microsoft employee I enjoy using apps like Outlook, which is a way better email client than the Apple Mail app (I use both to separate my personal and work email), or Teams, which is Microsoft’s response to Slack. What’s next? Which new apps will appear on my home screen next year? With the popularization of augmented reality (AR), I hope to see new and exciting apps in 2018: a successful crossover between social media and AR could dramatically change which apps stay in that valued home screen. The future can’t come fast enough. Scarcity is “the fundamental economic problem of having seemingly unlimited human wants in a world of limited resources“. Many thought that Nintendo was the master of artificial scarcity because of how difficult it was to find in stock the Switch (and other Nintendo consoles). 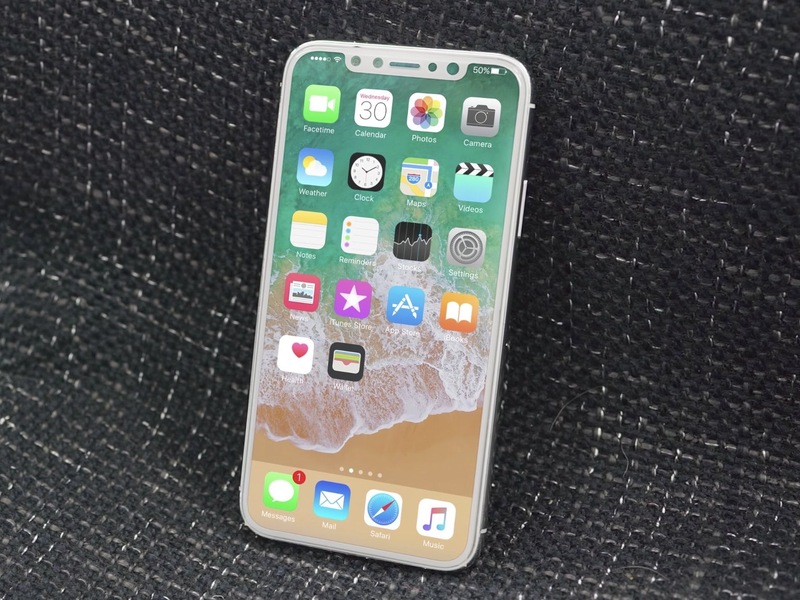 It increased the hype for all those fans who were anxious to get their new toy, and for those who got it, it created a feeling of exclusiveness. However, reality is slightly different: even today, over 5 months after its worldwide release, many retail stores still have limited availability or are sold out. Nintendo is actually having supply issues, which I bet they are trying hard to resolve before the holiday season. Now, does the console live up to its hype? After a few weeks playing with it, I have to say ‘absolutely‘. The Nintendo Switch surprised me with its versatility as a powerful docked console and as a portable gaming device that doesn’t compromise. I got the Spectacles over Christmas thanks to my good friend Carlos. 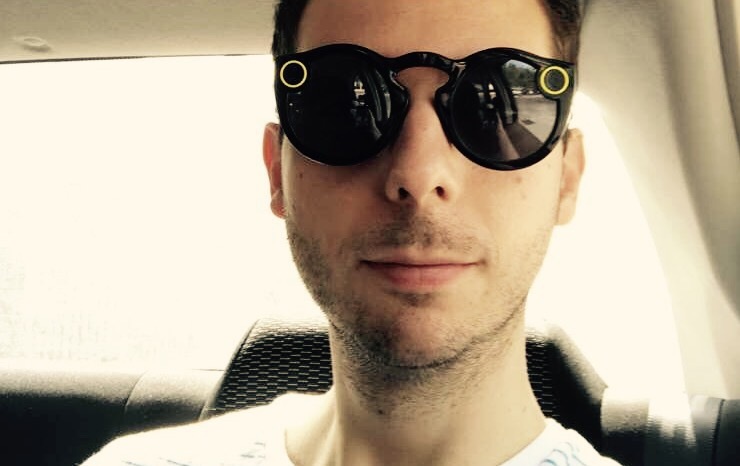 Back then, it was difficult to buy them because Snap was playing a genius scarcity game. Today you can buy a pair online and get them delivered to your home in 1-2 weeks. Gone are those days when the Spectacles would sell on eBay for $3000. 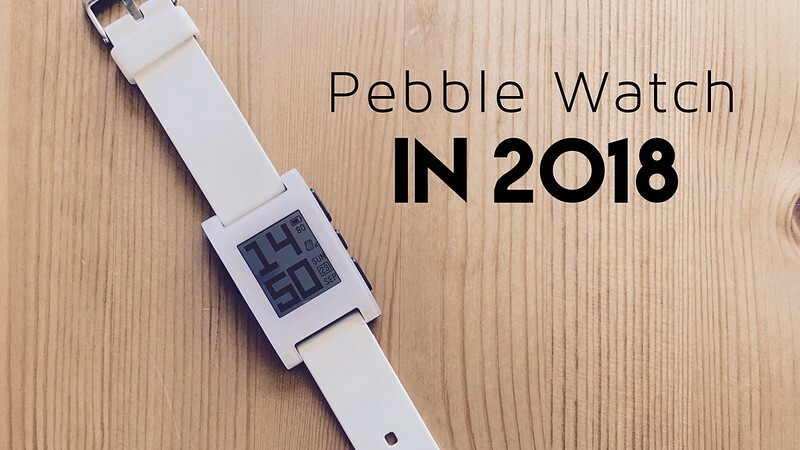 Now, you might be thinking: “should I get them?” Let me help you. Have you ever had a vacation to a sunny place, taking pictures here and there to immortalize the scenery? Having your phone with you all day might not be convenient, especially if you want to disconnect. Have you ever been at a wedding where everyone is looking at their recording phones? Most of these people end up having just the memory of what their camera saw, not their eyes. Can you think of a summer day when you hiked through a trail with breathtaking views? Getting your hands busy to take pictures might be uncomfortable and even dangerous. I have been in these situations, and the weird-looking sunglasses truly allow me to be in the moment while capturing the memory. Waiting for my delayed flight to take off, I came across Phoneys, an iMessage sticker pack with some controversy. Of course, Apple noticed and asked Adam, the developer, to update it so that users don’t get confused or think that their iPhone has been hacked, otherwise the app would be taken down. With iMessage on iOS 10, Apple tried to create a fun experience that can compete with Snapchat, the king of fun messaging. 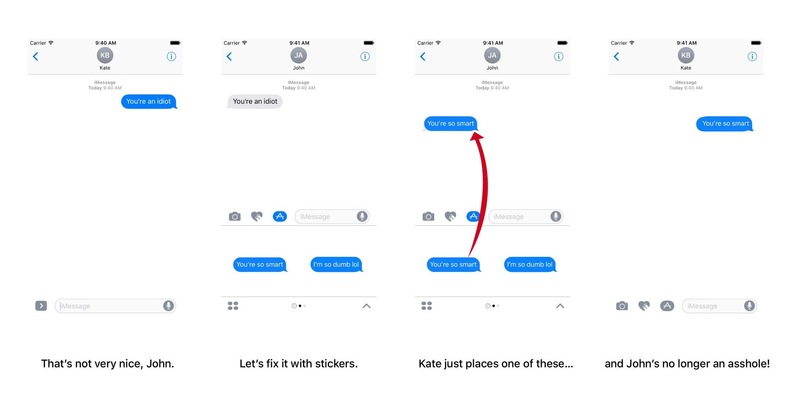 A very clever way of doing this was… well, letting others actually do it and lure them into a new iMessage app store (following Facebook’s steps with Messenger). I find fascinating how Apple simplified and streamlined the creation of stickers for iMessage. Anyone can create a fun experience (and sometimes a cash machine) with a good idea and a few nights of work. Fun messaging apps are the next gold mine: emojis, stickers, GIFs… the best way of increasing the variety and quality of options is to let 3rd party developers do it. How long will it take for Snapchat to open its own app store? Adam is now debating what to do with his “stupid little sticker pack”, as he calls it. To him, I’d say: enjoy the viral ride and start thinking of the next great idea, you sure know how to monetize it. You can read his full story in Medium.